The Department of Information and Communications Technology (DICT) said common tower providers and telecommunication firms need not worry about securing permits for telecommunication towers as the agency will take care of that concern. On Friday, January 18, DICT acting secretary Eliseo M. Rio Jr. said the eight-month duration for securing at least 25 necessary permits and documents on building towers can be compressed to just seven working days with the Ease of Doing Business Act (Republic Act 11032) now enacted. Rio gave the statement to address the concern that the common tower initiative being pushed by the agency might also encounter the same problems the telcos are dealing with, including red tape and possible corruption, just to secure building permits. “(The common tower firms) just need to get business with the telcos and the government will support them in addressing delays in securing permits, right of way, site acquisition and such,” Rio said during the signing ceremony of MoU with China Energy Equipment Corporation (CEEC). “There will be no more headache for the telcos as we will take care and facilitate the processing of permits for the common tower companies,” added Rio. The DICT has met with the various national government institutions involved with the implementation of RA 11032, such as Department of Interior and Local Governance (DILG), Department of Public Works and Highways (DPWH), and Department of Environment and Natural Resources (DENR), to discuss the formation of the inter-agency taskforce for the common tower regulations and permitting. 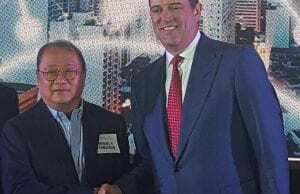 From approximately 19,000 towers, Rio said the Philippines need 50,000 more cell towers in operation to truly improve the delivery of telecommunication services, increase coverage, and to be prepared for the adoption of 5G technologies.